For aspiring authors, veteran authors, and anyone interested in writing, marketing and getting their book published. Felice is an author of 18 titles, publisher of over 100 titles, and consultant for aspiring authors in every stage of their writing careers. 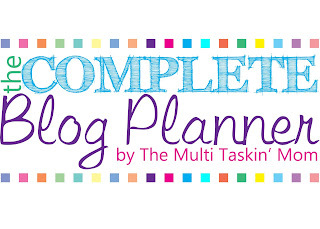 Blogger Schedule - That's What I Need! Last January I attended an amazing retreat for bloggers. It was on beautiful Sanibel Island, in Florida. They didn't even need to twist my arm to get there! Actually, I am very blessed. I live a mere 30 minutes from this amazing locale. So, what did I learn? It is never too late to resurrect a blog! Yes! I am moving and resurrecting this blog soon - and who did I learn this from? The man who happened to be our Keynote speaker, and the author of Platform, Micheal Hyatt. 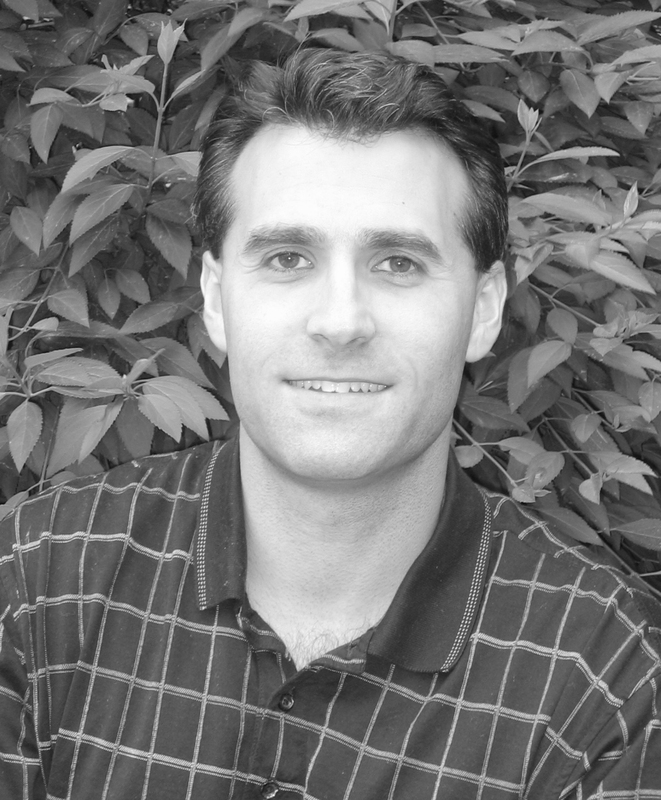 Michael is an author with the credentials few can claim, Former Chairman and CEO of Thomas Nelson. He understands the publishing market inside and out, and what sells books is visibility ... also known as a platform. Well, I have the platform. I've been a podcast host for the past four years on my show for authors, Writing and Publishing Radio.com and here Ultimate Homeschool Expo. However, I have been a very part-time blogger. And, thus when this came into my inBox I was delighted! It turns out my graphic artist happened to create beautifully crafted sheets on tracking, planning and organizing your blog schedule. She asked if I'd take a look -- and I did -- and I loved it! It was what I was looking for, something I could print out or with a pdf writer, fill in the forms on my computer. It was great...and beautiful. Did I tell you she is a graphic artist? I am an author consultant, and Stephanie has worked with me on a number of projects, so it was natural that Stephanie asked me to take a look before she published her book. It had many elements I liked except one. All the pages were individual pdf's and it laborious for me to find the pages I wanted without printing the entire thing out. But, that was easily fixed and she did a beautiful job in putting this book together. She has forms for everything and now - with this arsenal of forms I'm ready to begin. So, be looking for this blog to spring anew. 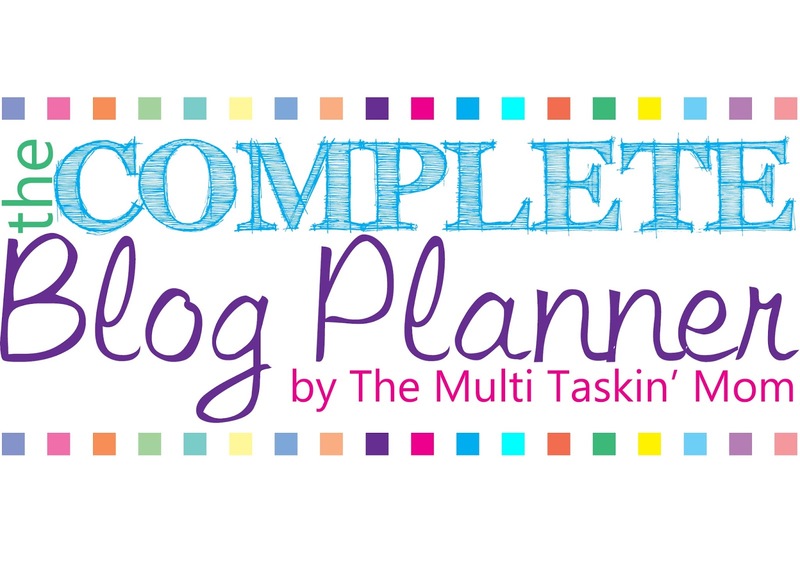 I have a directive from Michael Hyatt that I can ressurect this blog again, and from Stephanie that gave me a plan I can follow to blog more regularly, make a plan, and stick to it. IF you are a blogger what do you use? How do you stay focused? Share your tips and tricks with us! How many of you are planners? Do you plan your menu? Your vacations? Your writing schedule? Each of us are different. And we use what works best for us. But we can always change what we don't like, can't we? I wish I were more organized and dedicated. I'm not. I'm a thinker and a dreamer, more than I am a planner. I enjoy the entire process of researching before I write way too much. In fact I have been researching the entire process of marketing eBooks for some time now. I've gathered information, checked facts and found one important thing in common. Marketing is key. Marketing is key no matter what we do. You can have the best book in the world or the best blog post and if you don't let anyone know it will languish. Currently the trend is to use social media to blast it out to the world. I do this for so many other things -- I tend to forget about my own blog! So, one of the things I'll be doing is changing this by purposing to grow my blog presence as well as writing new content. I write often, but in the last two years my writing has centered around my platform, as a speaker. I write seminars that teach. Some are for students and others are for adults. All are time consuming and feature presentation slides -- more writing. These types of events require huge media campaigns, parties such as the ones I host on Twitter, or on Facebook, as well as email blasts -- yes, more writing. However it isn't the same as blogging. So, I've decided what I really need is a schedule. A set time to write -- a plan. You know, the thing I tend to shun like the plague. I am going to give it a heroic try -- to blog regularly. I'll write about marketing, and about marketing eBooks in particular and many things writing related. The marketing I'll discuss can apply to printed books as well. Share with me your ideas, and your writing dreams for this year. I think we should make it happen, don't you? A book is a book and an author is an author, right? Well in the not so distant past an author would write a book or proposal, submit it to one or more publishing houses and wait for weeks or months to hear back. After a decent amount of time, around six months, said aspiring author would send out the manuscript, making copies and mailing the documents of course, to another round of publishers and the waiting process would happen all over again. Now, if someone wants to write a book... anyone, even a child, can. All you have to do is create the file and upload it on one of the many services, such as Amazon's "Create Space," and voila! An author is born. Or is an author really born? What is the definition of an author? B. One is is published by the traditional means...publisher with a print product. C. One who is self published with a print product? D. One who is self published with a print and/or digital product? To add to the confusion we can include the caveat the author needs to sell books to be considered a published author. By selling I don't mean to 100 of your best friends or manipulate the system, such as Amazon to spike sales at 3 PM in the morning, or offer the book for free on a slow day to become an Amazon best seller. This is a hotly contested subject and I know many of my readers are self-published authors or those who aspire to be traditionally published at some point in their writing careers. I turned down a 4-book publishing contract in 1996 after I had successfully self-published said books and was happy not having to make 15% commission when I was making 100%. However, does that still make me a published author if I self-publish? 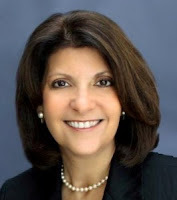 I can't join many of the professional associations because I am self-published however several of my authors, Susan K. Marlow is one, is part of these associations because I publish one of her books! And so we go round and round and I'm sure you have an opinion, so let's hear it! As an author a platform may be the most important skill you hone. However, what if you are not a good public speaker? What if you get ill at the thought of facing a live audience? What if you decide it isn't worth it, no book is worth it and you'll just chuck the whole idea? Well, I have good news... in a Nutshell. Of course. I would say, "I hope you win," however I've also entered the contest... so, let's just say, "To the person who needs the MOST help, let the winner be"... and Lord, you *know* I really want to win! The ideal for every blogger is to one day turn their blog posts into a book. How about a blog post that has gone viral and sparks the idea for an entire book? Now that, my friends, is even better! I've wondered why anyone would pay to buy a book of all the blog posts freely attained on the web. In fact, recently I received an email from someone that pointed me to Seth Godwin and his upcoming book project. In fact this book project was so extreme and innovative, I read every word. >>>If the minimum amount of words for a blog should be 450 for good search engine optimization he tends to write 100-150 and still gets fabulous SEO. I noted in one post he had 972 tweets and 252 shares on Facebook. I read it. It wasn't that noteworthy of sharing in my humble opinion. >>>After his headshot his byline is ... Go, Make Something Happen... Sounds a bit like Nike's "Just Do IT" ads, with a twist. Back to his book idea. In a nutshell, he decided to have a book published via the traditional route but with a push to have his publishers print the book in less than six month. Can you say the work, "Impossible"? In the real world books take about two years from rough draft to the final-in-the-hands-of-the-consumer. But, need I remind you, we are talking about Seth. So, he uses "Kickstarter.com" and writes this ad copy that essentially tells people his story. B. Hi everyone, it's me and I'm different. C. This is my topic, great isn't it? D. Oh, and by the way the book hasn't been written yet. So, he urges his readers pay for it in advance (oops, I mean "pledge"). He titles his offers cute names like, "The No Brainer." Additionally, he offers a once-in-a-lifetime incentive to a personal interview from Seth! This is limited to the people who will pledge $1550.00 for a ONE paragraph synopsis that would reside in his new book. Here is the link. Sorry, if you are interested in that particular item has already sold out. It was limited to the first five people who saw his post. As of this writing he has raised $233,847 for a book he hasn't written yet. Not bad since his goal was to raise $40,000 and there is still 21 days to go. As a bonus he is offering a copy of all his past blogs posts. And, that brings us back to the original point of the article. Creating blog posts into a book. I believe and could be wrong, that what Seth is doing is creating a compilation of his previous blog posts not creating a "book" out of his posts. And that is the difference. What he is doing will work, in terms of sales... although I still don't understand why you'd pay for what you could get for free. Otherwise your book is doomed unless you have a cohesive and strong topic, blog posts that incorporate the elements of the topic and good transitions or chapter headings for each of the subsequent supporting material. On the other hand, you could take one blog post, for example one that has gone viral (like my guest on the radio show for authors, here, Darlene Schacht, and write a book based upon the post that has generated a ton of interest. Darlene is the author of, The Good Wife's Guide. While most of us don't tilt windmills we can definitely learn from those who do. Being creative and fun adds to the appeal of a celebrity figure, even one created online in Cyberspace. What is your most innovative way to sell your books? If you have a secret you are willing to share with all of us, I'm ready to listen! I've joined with a group of other bloggers to bring you this BLOG hop... in the process there are instructions in the post below about what I am specifically giving away. 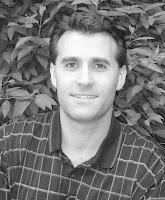 Want a one-on-one consult with an experienced author consultant? Well now is your chance! See how to enter in the post below and best wishes. Here are my top reasons for joining the "HOP"
1. Get the word out about my blog in the hopes that you will FOLLOW it!. I'm so busy helping other authors, hosting events and writing books that I forget my OWN writing blog. Felice Gerwitz loves to be on the host side of the mic and has a radio show for authors at Writing and Publishing Radio.com (http://www.WritingandPublishingRadio.com) Felice is also the author and co-author of 19 books. 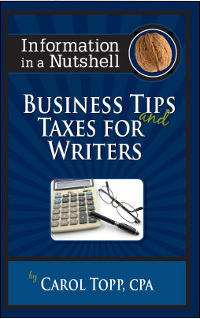 She wrote Information in a Nutshell: Writing and Publishing and has published, Information in a Nutshell: Business Tips and Taxes for Writers. Monday May 7th for the John 3:16 Marketing Network Blog Hop which will run May 7-14. There will be over 50 blogs you can hop to and all of them will be offering a giveaway all you have to do is leave a comment on that blog. In order to win the prize I offered (see the previous post for details $125.00 Value) please leave a comment to this post with your EMAIL so I can contact the winner... AND follow the instructions below. Now! To enter for a chance of winning one of the Kindles, sign in below. Be sure to tell your friends about the John 3:16 Giveaway Blog Hop! It's going to be a great! week of fun! Just click on the links below to go from blog to blog! Happy hoppin'! Everyone loves a contest and who doesn't like winning? I am joining with many other Writing Bloggers to bring you a contest. There are giveaways on all of the blogs. So what will you win from me? A $125.00 Value! 1. A Free 30-minute Consultation with me about your book project! How's that? In order to win you must leave a comment and subscribe to my blog! Go for it! Don't forget to comment if you have any questions or want more information! If you've ever wanted to write a book or jump-start your current process, tune in! We've all seen the video that is lifted from obscurity to make the prime time morning show circuit. What is it that brings the masses and how can you, as an author, profit from this market? The process is really simple however the execution is what becomes difficult. 1. You create a video. 2. You post said video on YouTube, or GodTube TalkFusion (or similar site). 3. You let your friends know. 4. They let their friends know. 5. The friend of a friend let's his friend know. 6. Number 5 happens to the infinite power. 7. Said video goes viral. 8. You are invited to the morning news show circuits. 1. You create a video with the hope of going viral. 2. You follow steps 1 through 3 above. 3. You look at said video months later to find only 10 people or less have watched it. The idea of a viral video to those who market is to get sales. Let's face it, the videos that go viral have no sales in mind. They are quirky, fun or just plain silly. There isn't a marketing genius out there who has not analyzed and studied these videos in the hopes that imitation will yield the same results. And, some have come very close. There is a bottom line and "secret" sauce here, the videos that go viral don't mention the product. They entertain, delight, embarrass or wow the viewer. In other words they illicit a response. Recently while attending a family celebration at a friend's home she had to share her latest YouTube find a video of a dog that appeared to be speaking to it's owner. I watched her reaction as she watched it and she kept stealing sideways glances at me to be sure I was watching as well... she was just as amazed each time she viewed the video as the first time. 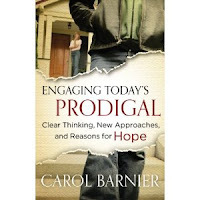 Therefore, add engaging to the list above. Notice the video in question did NOT mention a product. It was purely entertainment. Perhaps my friend a dog lover, with a dog that often chews the legs of her furniture secretly (yes, I'm assuming here) hopes that someday her own pet will behave in like-wise fashion. Or, better yet, that someday she'll own a dog like that. I'm not sure. What I do know is the million plus viewers of the video equally enjoyed the dog's antics. An engaging video allows the watcher to dream, aspire to an ideal, or secret inclination. It is the perceived value. For those who market directly the hope is to illicit a response from the buyer. The value may be to get thinner, think smarter or in the case of authors, convince a buyer to purchase their book! Create a video that allows those who watch it to see the perceived benefits of your product and there you have it, a million-dollar idea in the making. Easy? Not really. However it is worth a try! If you have a great video that shares your product idea please post it here! Who knows we might help you go viral. As the launch of our book, “Top Ten Most Influential Christians (since the Apostles)”, is nearly upon us, I have a few words of practical advice for any writer who is thinking about working with a co-author, or other contributing writers. For a variety of reasons I decided that my best avenue to market (and to book sales) would be to work with an equal co-author. After I had started an outline from my initial idea (a “Church History 101” for average churchgoers), I reached out to Abby Matzke. 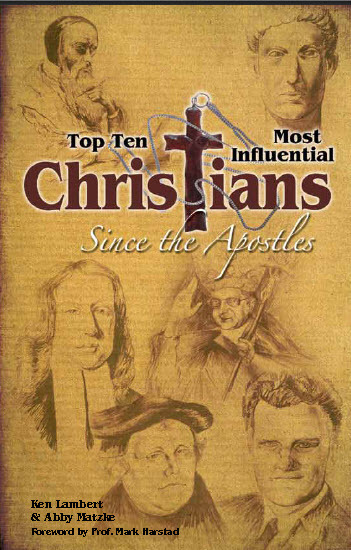 Abby is the founder of a Christian magazine, and also writes and edits for the publication. After some phone discussions, some email exchanges, and showing one another some of our published works, we both decided it was worth a try. We did sign a simple 1 page business agreement- which I would highly recommend. It outlined the basic terms, including the fact that we were 50/50 equals on all decisions and in all fiscal matters. Note that in some ways being a true “equal” can be dangerous in a partnership, but we took the chance and thus far it has worked out fine. But a fair warning: having a co-author is not always a walk in the park. You will not always agree, and you must be able to find resolutions and compromises at times. In a manner similar to a marriage, two people will not think alike (or write alike) on every aspect- so there will be differences of opinion. Whose opinion is correct, or most important? How do disagreements get decided? In our case, there were very few “battles”, and we managed to work it out fairly easily and quickly. But, there were also a couple of anxious circumstances that would not have been the case if I had chosen to write it alone. Reduced the actual writing workload for Abby and I. In using a healthy number of contributors, our roles shifted more towards compilation and editing than that of a true author. That is good and bad, and we then had to deal with varying levels and styles of writing within the same book. With more people to work with, there are inherent issues that will come up- as opposed to writing every chapter and paragraph yourself. Overall, I am happy with the decision to both work alongside a co-author, as well as compiling other 3rd party contributing writers. The pros have outweighed the cons, especially given the fact that I am a first-time (Christian genre) author, and am self-publishing. 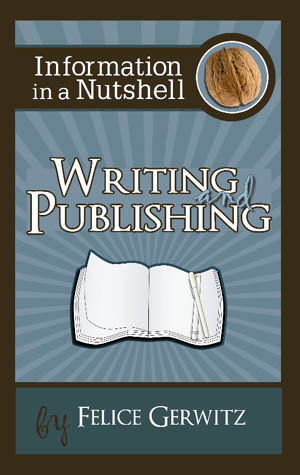 I’ll soon be guesting on the “Information in a Nutshell Radio Show” sharing a bit about writing my latest book. But I’m such a believer in the idea that those who write books should also be frequent writers of magazine articles, that I thought I’d explore that concept a bit in today’s guest blog post. My first break into a national magazine almost didn’t happen. It had taken a serious stretch of my confidence to even approach this publication. This was one of those slick paged magazines. This sat on the shelf in Borders. This, for me, was the big leagues. So what did I write? What could I possibly have said, me with so little a publishing history, that could win a chance from a national magazine? So why should you have me write for you? Well, even though I’ve so happily self-deprecated, let me add, perhaps even boldly, that I do bring some worthwhile things to the table. For all my lack of magazine experience, I can actually write. And while I don’t have a long list of previous articles to evaluate, I do have enough available to judge merit. I’m always on time (or early) with deadlines. It’s just a value that permeates all my life. I’m usually passably funny (as long as I’ve had enough sleep). Best of all, I’m not married to my words. I’m FULLY open to following direction to accommodate changes that will better meet the needs and preferences of your readers. I don’t even whine. I think she may have liked what she read, but I suspect I closed the deal with “I don’t even whine.” I knew this was a sensitive spot with editors. I’d heard from various blogs, books and conference speakers that editors and agents in the Christian publishing market hear some of the same tired old phrases over and over again. Things like, “God gave these words to me.” Some even go on to say, “If you don’t publish it, woe be upon your head.” (or various other forms of eternal damnation). No kidding. They hear this stuff all the time. I know that so many people long to write a book. I understand that. I truly do. My fourth book is coming out April 1, so I appreciate the satisfaction that comes with completing a book and finding a publisher for a book. But for most of us, a book that sells well may sell between 5,000 and 25,000 copies (Yeah. Yeah. I said most of us. Runaway bestsellers don’t count in this equation. Those are the literary equivalent of winning the lottery.) There’s nothing wrong with these smaller numbers. But a well-placed magazine article can touch 100,000 people or more. (A piece with AARP will put you in front of 47 million readers!) So I encourage writers to reach for both books and articles. With articles you can gain entrance by way of smaller publications, build your voice, strengthen your writing chops and grow your audience. Then, when you want to publish a book, lo and behold, you’ll have those now-required “platform numbers” that publishers seek. Felice is currently seeking a select number of authors to mentor for her private e-course.